It's March so that means it's time for another pattern in my Head, Shoulders, Wrist & Toes E-book. This month, it's something for your shoulders. 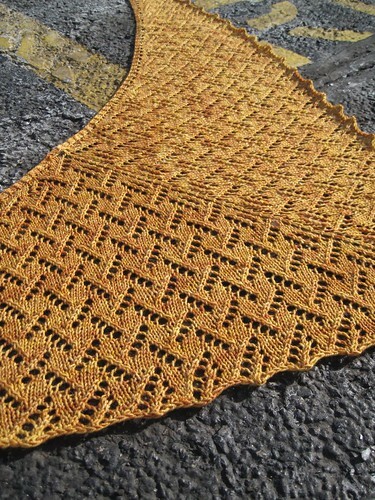 It's the Willoughby shawl. 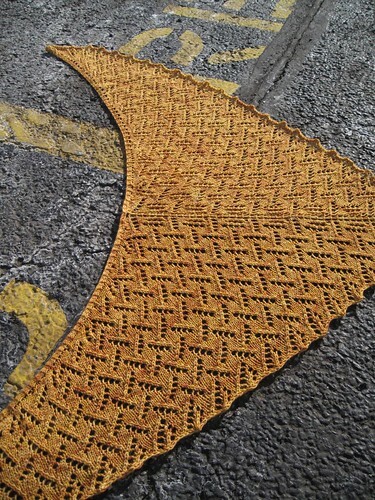 It's knit out of one skein of Hazel Knits Entice MCN yarn. Shown in the Hoppy Blonde colorway. The pattern is written for one skein, but there are notes included on how to make the shawl bigger if you want to (you will need a second skein of yarn for that though). The pattern is exclusive to the e-book until May of this year. After that, it will be available for individual purchase. If you buy the e-book, you will be getting patterns added throughout the year. In the end 8 patterns for $24. That is a sweet deal! You can find all the details about my ebook here. Hope you enjoy. Happy knitting!